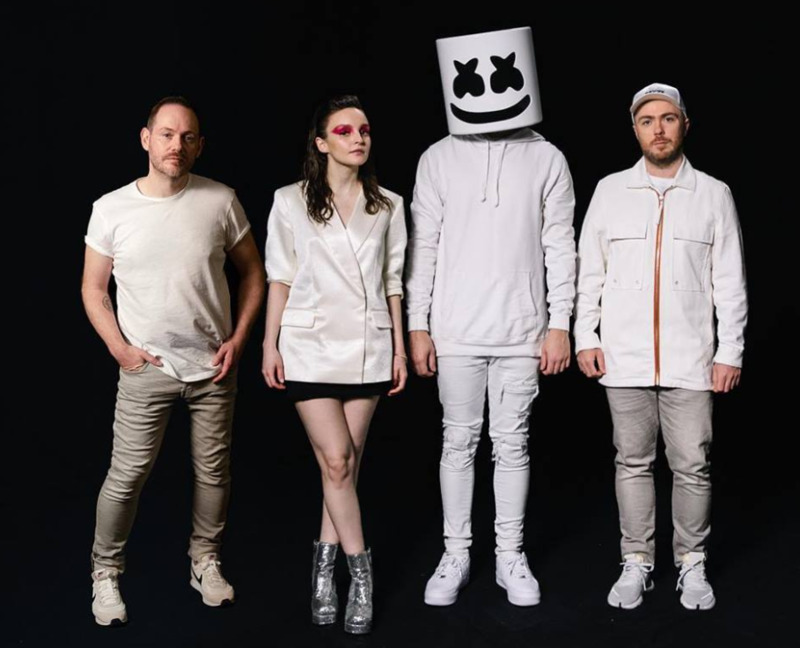 Marshmello has shared a new song featuring Chvrches. On Here With Me Lauren Mayberry's vocals are instantly identifiable and it finds the US electronic superstar experimenting with guitars over a steady electronic production. It comes with an animated lyric video, viewable below. The track marks the first time the two acts have worked together, though last year Marshmello did team up with Bastille for Happier and released his second album, '_Joytime II', while the Scottish synth-pop trio put out their third LP, 'Love Is Dead'. The full length was later followed by the five-track 'Hansa Session' EP of acoustic reworks and string arrangements of songs from the album. Marshmello will perform at Belfast's Ormeau Park on June 26 as part of the Belsonic series. Chrvrches, meanwhile, tour North America this spring before returning to the UK for summer festival appearances including Latitude and Reading and Leeds. 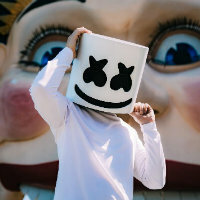 Click here to compare & buy Marshmello Tickets at Stereoboard.com. Marshmello and Bastille have teamed up for a collaborative single, Happier. Marshmello has shared two new tracks. Marshmello has shared a video for Spotlight, his collaboration with Lil Peep. Björk is reissuing nine studio albums on coloured cassettes. A posthumous Avicii album has been announced.